Things have gone faster than expected, but there remains a lot of work to do. After working a bit more in the work-points script I realized that is obligatory to have origin work-features, as origin of coordinates point, X, Y, Z axis, XY, XZ and YZ planes. The colors of the axis are to distinguish them, and the origin work-planes colors are different from the future user-created work-plane colors. To use it, with a part or new document opened, copy-paste the code, that's all. 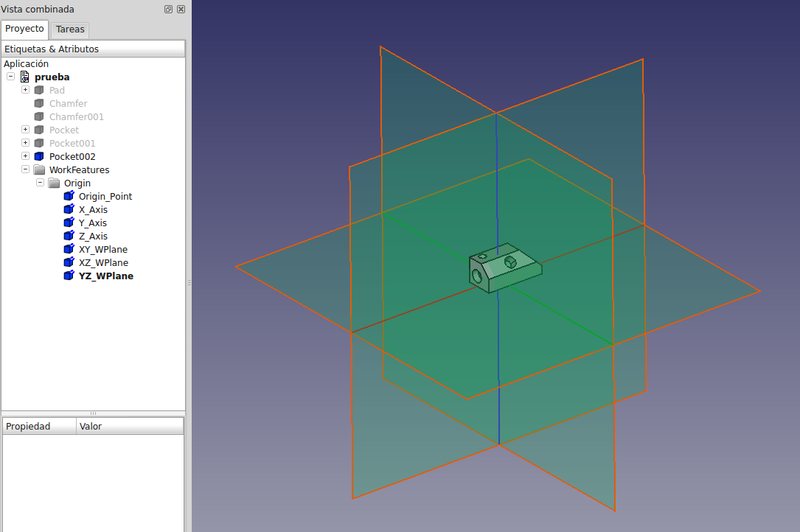 Sometimes when using the FreeCAD part-design workbench I feel the need of placing a sketch in a position that can't be achieved with the current sketch placing options. 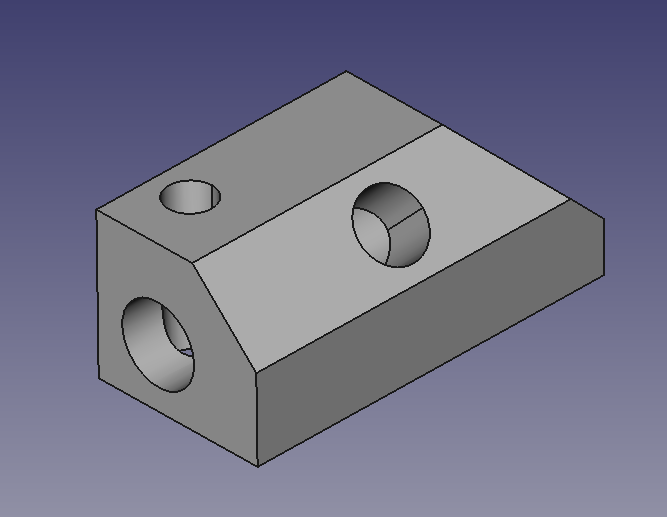 I haven't seen any object similar to work-points, work-axis, work-planes... in FreeCAD, but I'm used to them in Autodesk Inventor. 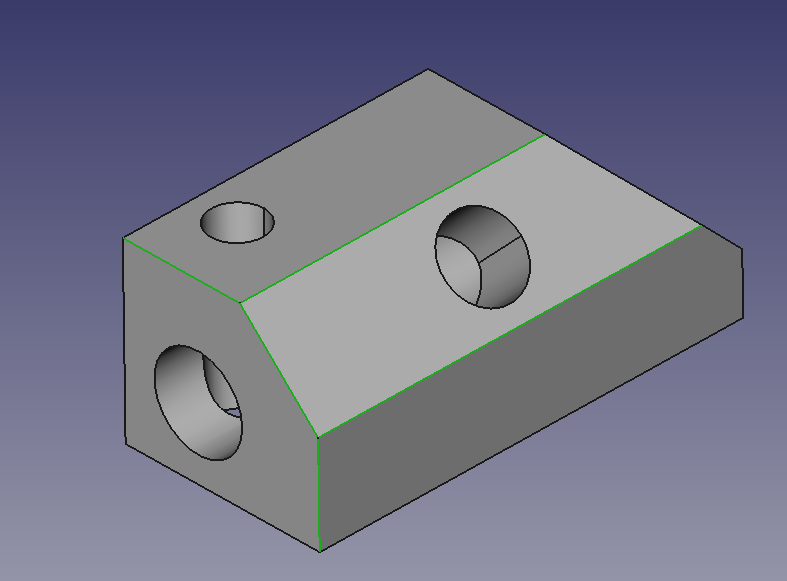 I'm trying (from time to time) to implement this functionality in FreeCAD, and this is the first post about it. The idea is that work-points and work-axis serve to determine the position of a work-plane, and a work-plane serves to place a sketch. For example with tree points, or one point and an axis, or two axis, we can place a work-plane, then a sketch on it and later build more complex things easily and faster. These work-objects can be created from existing objects or added as new objects. 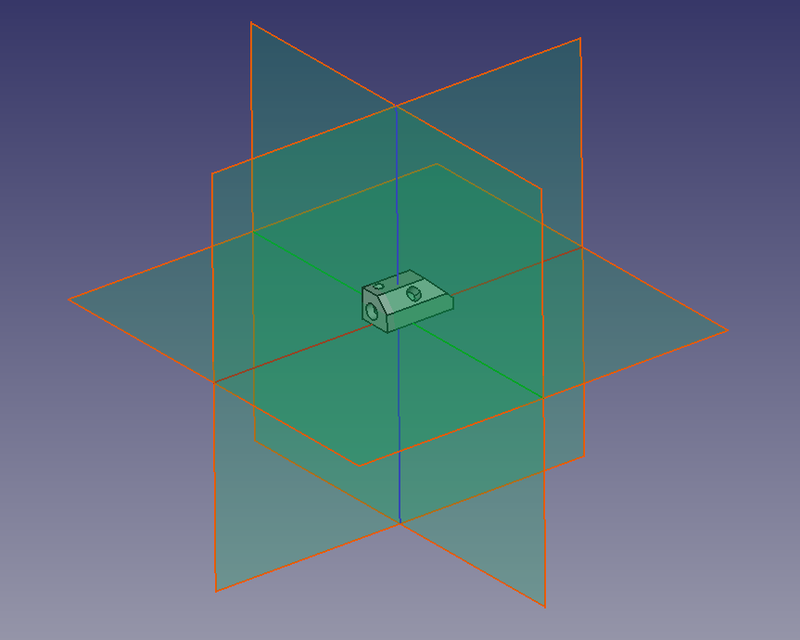 A midpoint is a point in the middle of a line, a vertex in FreeCAD. At the moment this can be used as a macro, but without the ability to create work-planes, it is useless. #moves everything to the folder "Workpoints"
Copy-paste the code above at the python terminal of FreeCAD. And this is all it does. 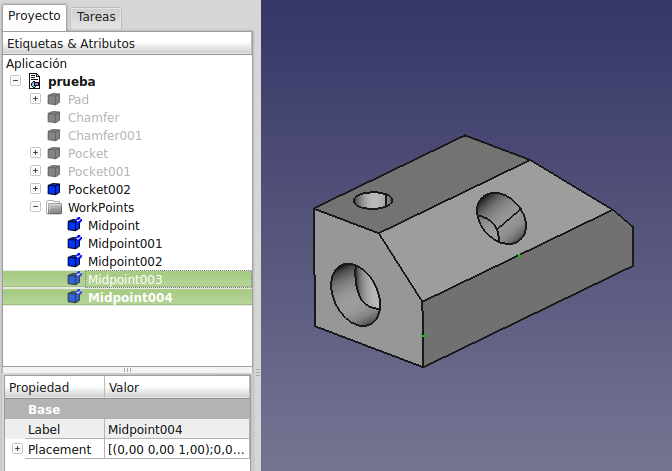 The next work-point feature will be the center of a circular edge. My conclusion is that stepper motors (from floppy and DVD drives) haven't enough torque to do anything useful, because the will simply jump several steps when applied a bit of load. 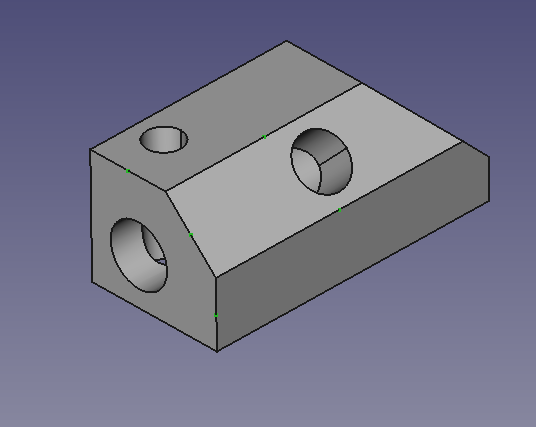 It has been a good exercise about machine control, I was trying to slice a part on FreeCAD, get the trajectories and then carve foam with this machine, but I do not have time to continue with this at the moment. I will post here a bit about programming this things using python.